Santa Cruz’s new Tallboy LT is now available in stores. The 5 inch travel 29er trail bike has been in the works for a long time now, and is now ready for public consumption. The bike looks just as good as the 4 inch version, and is already available in both aluminum and carbon versions. The new frame is slacker and longer, yet the carbon Tallboy LTc is comes in at only 90 grams heavier than the 100mm version. This release from Santa Cruz expands the appeal of big wheels to the more aggressive riding crowd, and should eventually become as popular as the original Tallboy. I for one will be eager to try it when the demo bikes finally arrive in our shop. 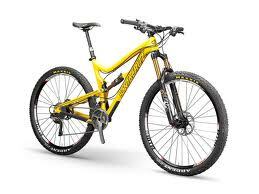 Check out review of the new Santa Cruz Tallboy LT on Bike Radar. The Tallboy LTc on Santa Cruz Bicycles Website.